BMW Motorrad Premium Selection offers a high quality, certified package that delivers total peace of mind and confidence making us the obvious choice when it comes to buying an Approved Used Bike. Every motorcycle undergoes a rigorous technical quality check ensuring it has an unbroken vehicle service history, 2 years unlimited mileage warranty and 2 years Europe-wide emergency service cover. 2 YEARS UNLIMITED MILEAGE WARRANTY. Our Premium Selection Warranty is designed to give you peace of mind and ensure you enjoy the adventure that lies ahead. We take great pride in setting high standards and believe all Approved Used Bike should also benefit from a premium warranty. 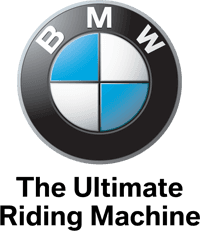 In addition to new BMW models, all Premium Selection motorcycles will be offered with 2 years unlimited mileage warranty. BMW Motorrad Premium Selection Warranty is one the most comprehensive packages available. 2 YEARS EMERGENCY SERVICE COVER. VEHICLE HISTORY AND MILEAGE CHECK. With BMW Motorrad Financial Services, we’ll gear every last detail of our finance packages to suit your individual needs. Our bikes hold their value and with our BMW Motorrad Premium Selection programme no one is better placed to know what your bike will be worth at the end of your agreement. Plus, when you buy an Approved Used Bike you won't pay any arrangement or set up fees on any of our finance agreements*. To help get you on the road even quicker, you can enjoy our comprehensive insurance for 5 days when you buy a BMW Motorrad Premium Selection Motorcycle. This allows you to ride away on your newly purchased motorcycle the same day. To make it even better, you won’t have to pay a penny to get the premium service you deserve. To take advantage of BMW Motorrad 5 Day Free Insurance, ask to get a quote when purchasing a motorcycle from your local Authorised BMW Motorrad Retailer. Please note this offer is not available to existing BMW Motorrad Insurance customers. In the unlikely event that you are declined for a full annual policy you will not be eligible for BMW Motorrad 5 Day Free Insurance.